This course will review the history of fair housing legislation and examine current regulations set forth by the government to ensure equal rights in housing for all. Case Law will be examined as examples of how the law relates to reality. The benefit to the consumer when a licensee has successfully completed this course is that the agent will be able to share recognition of the protected classes of the Federal Fair Housing Act as well as those of the jurisdiction and determine if certain acts are prohibited under either Fair Housing Act. The agent will be able to share with the consumer the exemptions and exceptions to the Federal Fair Housing Act and the enforcement process. Protected Classes List exemptions and exceptions to the Federal Fair Housing Act. 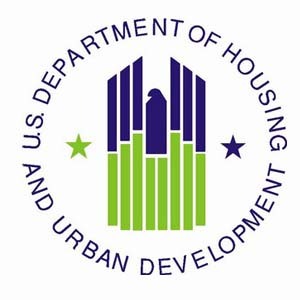 Steering, Blockbusting, Redlining Describe prohibited acts under the Federal Fair Housing Act. 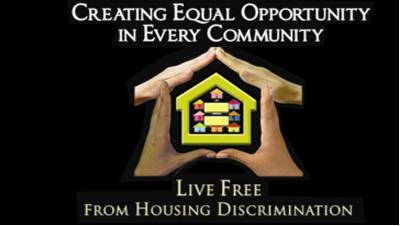 HUD’s Enforcement Role Describe the Fair Housing enforcement process. This unit is about the dichotomy between the manner in which hard copy publishers and on-line publishers are viewed within the parameters of the Fair Housing Act of 1988 and the Communications Decency Act of 1996 (Title V of the Telecommunications Act). We will briefly explore history and expand to interesting case law studies, the aftermath of Fair Housing violations involving Hurricanes Katrina and Rita, and finish with advertising guidelines as they exist today. As changes to the law happen, and we expect that they will, you may remain assured that the content within this course will be current. A real estate professional should continually be aware that regardless of how or where the words appear on the Internet, online and offline statements carry the same responsibility. For more information, you can take a look at the background on publisher and distributor liability. As mentioned in the course introduction, housing discrimination in America began when the first colonists landed on the soil in the 1600s. Three hundred years later, racial separation started to become institutionalized. This came about with the migration of southern blacks toward factory jobs in the North and Midwest. There was nothing to stop cities and towns from establishing zoning laws and deeds to keep people of color out of the growing suburbs. This was the root of early real estate practitioners steering minority citizens to areas where others of their race were concentrating. It did not take many years before the Federal Housing Administration began to turn down minority mortgages while underwriting mortgages in segregated white neighborhoods. An eye-opening statistic is that less than 1% of all mortgages in the nation were issued to African Americans between 1930 and 1960. As discussed in Unit 1, The Federal Fair Housing Act of 1968 outlawed exclusionary deeds, steering, and redlining. Unfortunately, this did not cause lenders or many people in the real estate industry to change their way of doing business; thus, housing patterns remained segregated into the 1990s. In the three years between 1996 and 1998, the DOJ prosecuted more than 80 cases of criminal interference with housing rights, including cross-burnings, shootings, and fire-bombings. As a people, we have struggled with human and housing rights for over 400 years. With the advent and adventure of the Internet, the issues have become broader. We will first be examining challenges to Section 3604(c) of the Fair Housing Act, beginning with the first major case in 1972 involving newspaper advertising. The decision of the court is important in the context of Internet advertising three decades beyond this case. In 1972, the Fourth Circuit heard United States v. Hunter. The case involved two published newspaper advertisements for an apartment in a “white home.” The argument was that Section 3604(c) was not intended to apply to newspapers, including that the phrase “white home” did not violate the Act. Citing the Fair Housing Act’s legislative history as “evidence that the publication of discriminatory classified advertisements in newspapers was precisely one of the evils the Act was designed to correct,” the court concluded that the Section applied to all publishing media, including newspapers.